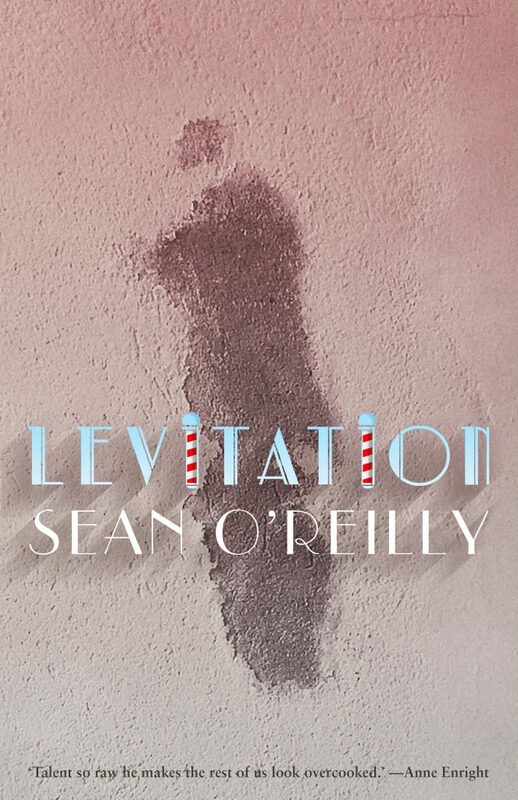 Sean O’Reilly’s latest collection of stories, Levitation, has been out in the world for a few weeks now and the reviews have been coming thick, fast, and positive. RTE also have an exclusive extract from the title story, which you can read here. 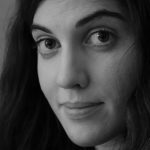 Also in the Independent, Kim Bielenberg orchestrated a short Q&A with our man. 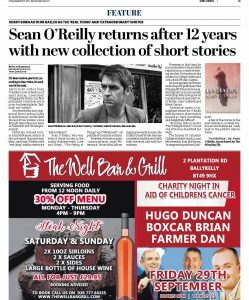 O’Reilly’s hometown paper, the Derry Journal, also gave notice of the book’s appearance. 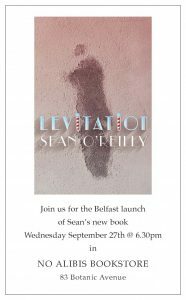 Finally, after the successful launching of Levitation in Dublin earlier this month, we’ll be heading up to Belfast next week to launch it even further. 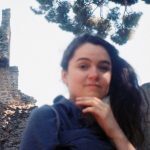 Please join us at No Alibis Bookstore (83 Botanic Ave.) at 6.30pm next Wednesday, September 27th, for some fun and games.